Cashflow Manager believes in the value of giving to create a better world for everyone. This extends much further than giving small businesses the tools to grow and succeed, to improving the lives of those less fortunate worldwide by embedding giving activities in our everyday business operations. We work with Buy1Give1, a social enterprise and non-profit organisation that imagines a new world full of giving, to achieve greater social impact around the world. 422,440 days of access to life-saving clean water to people around the world. 1500 days of education support to disadvantaged children. 1050 days or special education programs for disadvantaged women. 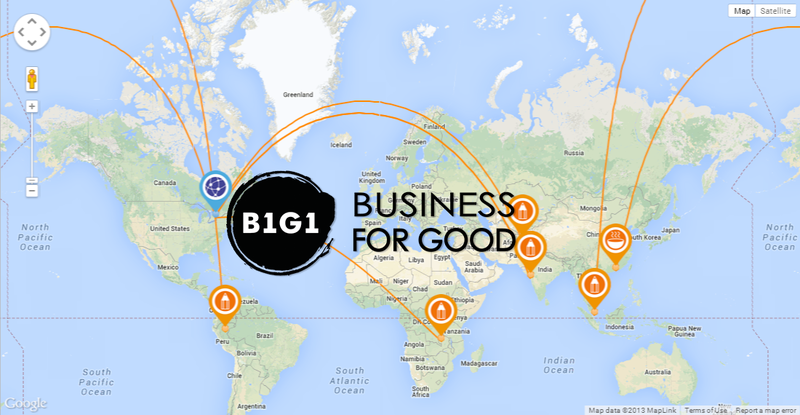 Click below to load an interactive map showing our (and your) impact around the world.